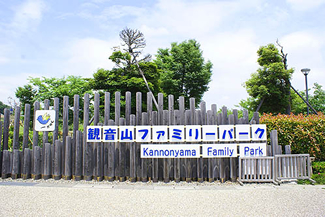 Located up on the hill overlooking the city of Takasaki, the Prefectural Kannonyama Family Park is a family-oriented park surrounded by mountains. The park has popular play equipment, a place to play in the water, and barbeque facilities. The park also offers a variety of events throughout the year.